Another Carpathian Model has left our facility and has gone to North Carolina to meet its new owners. 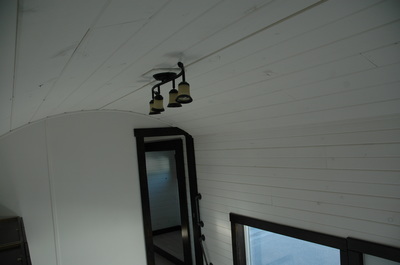 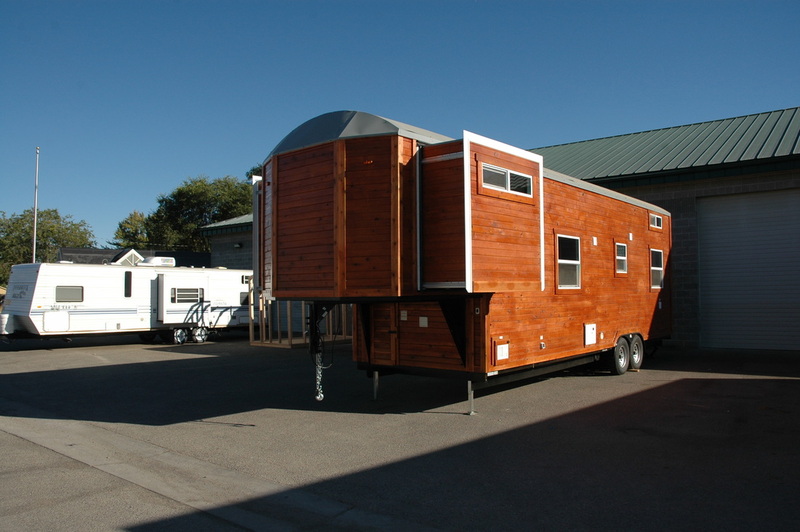 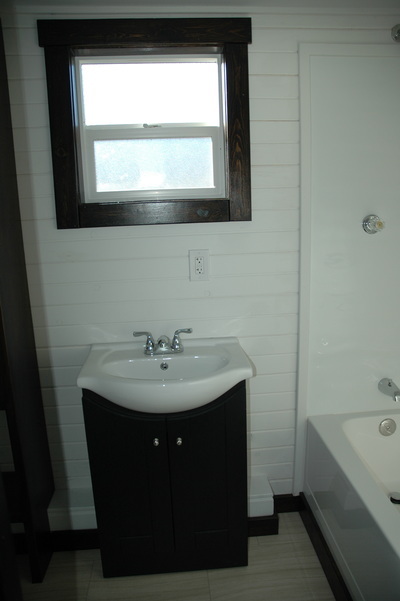 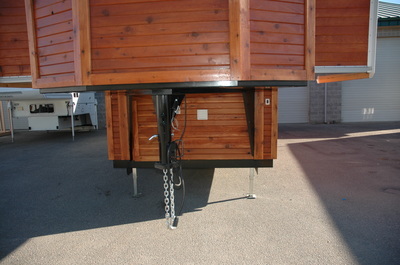 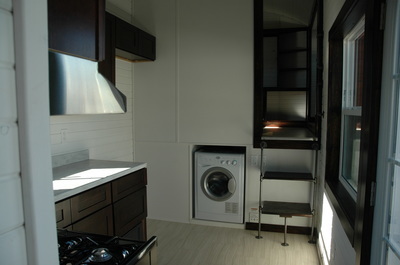 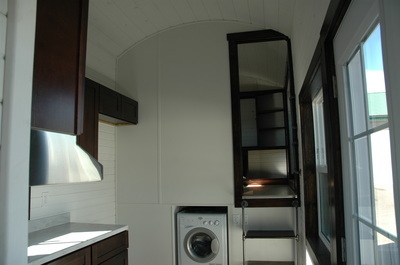 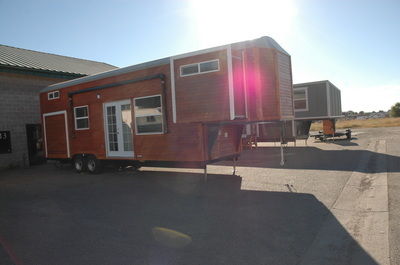 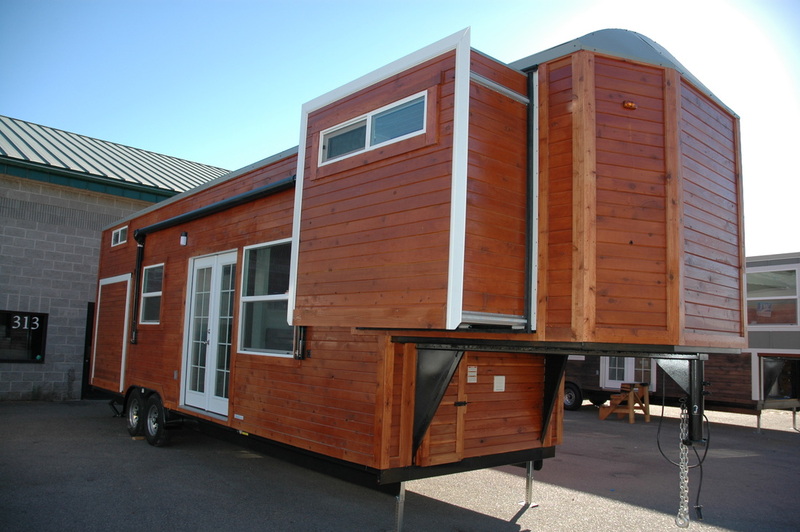 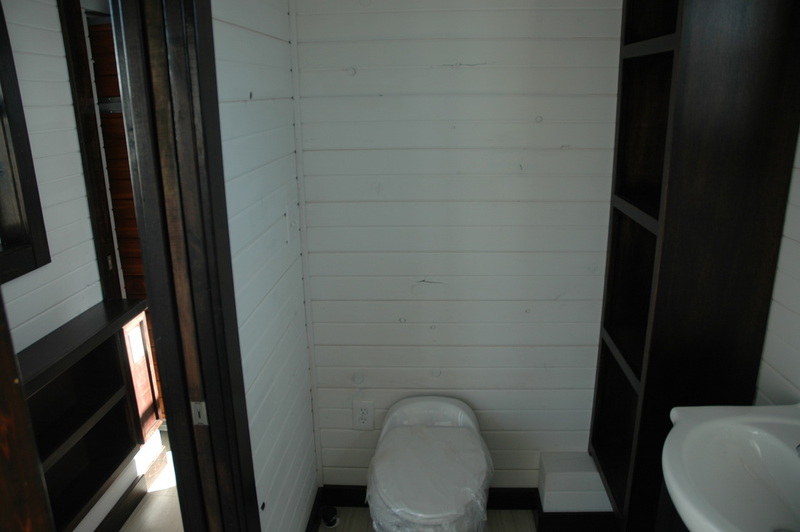 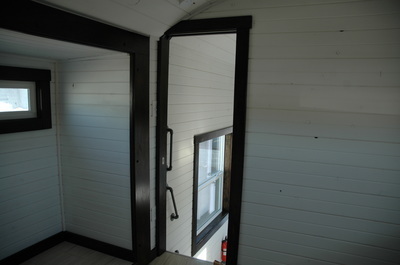 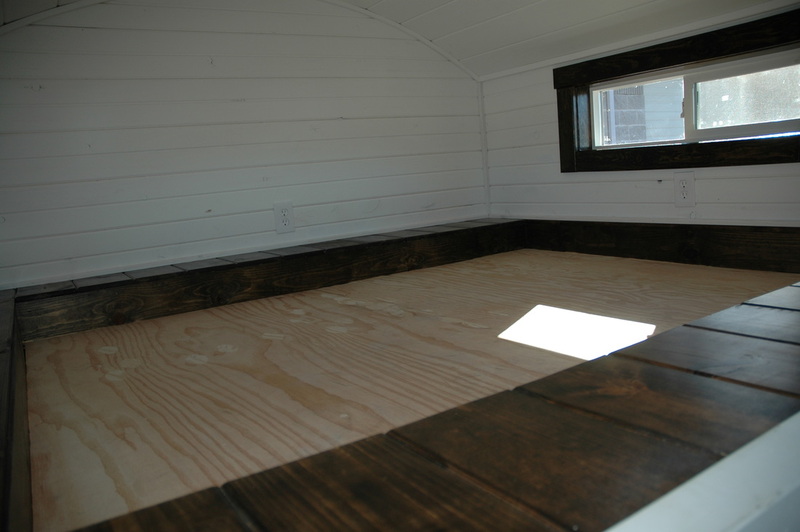 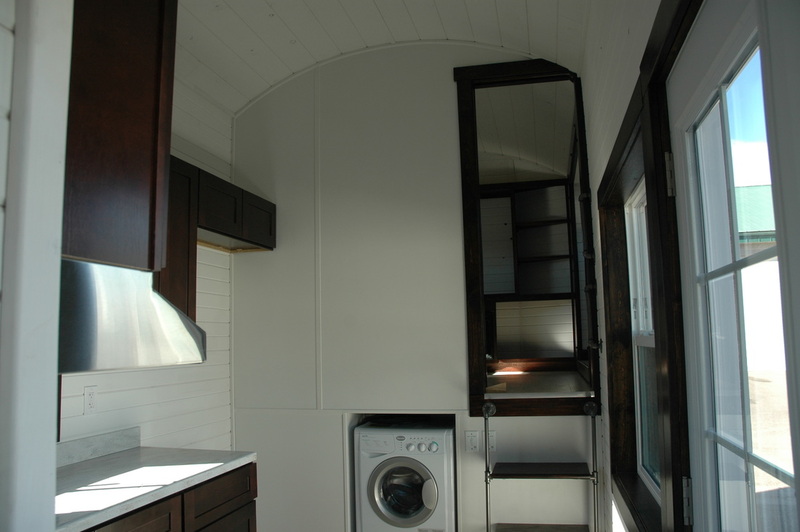 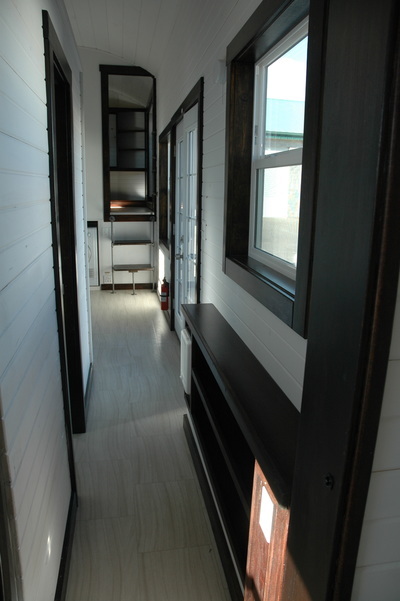 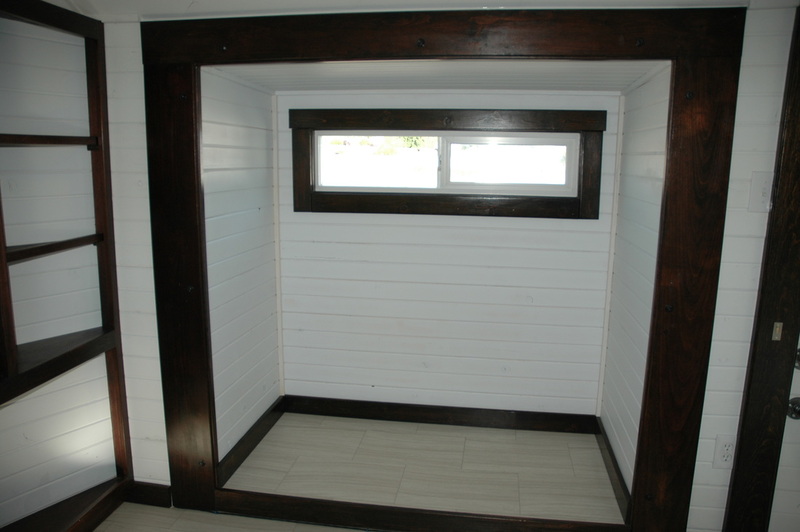 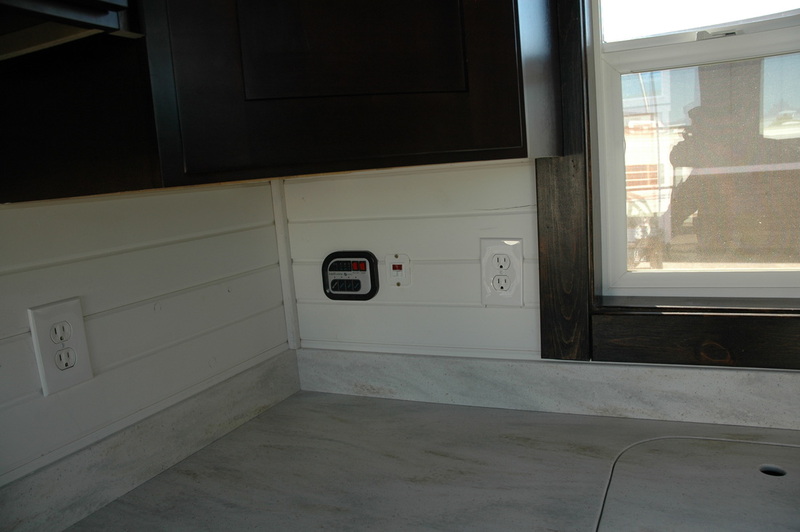 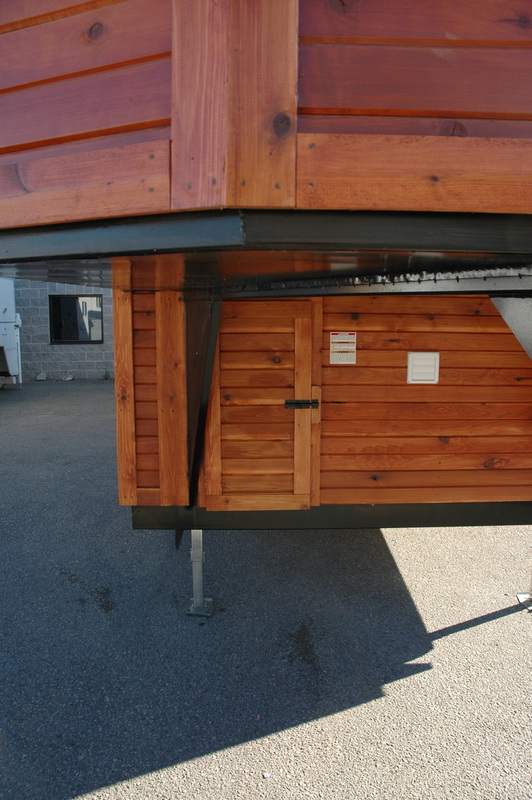 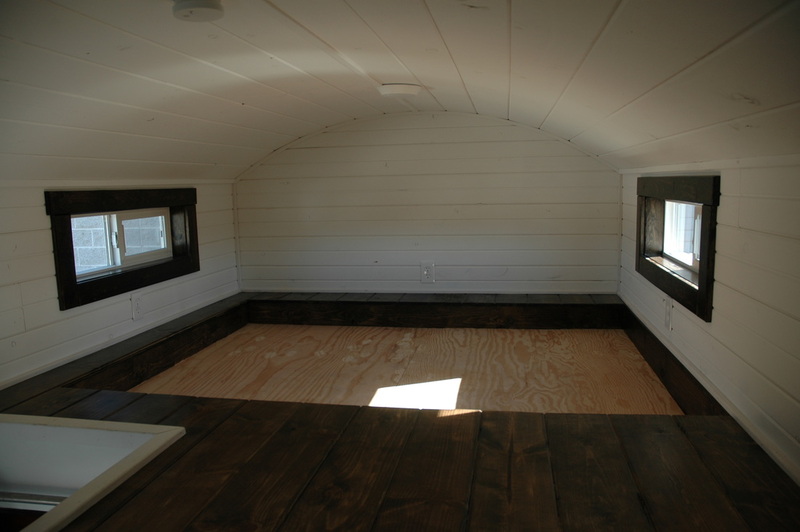 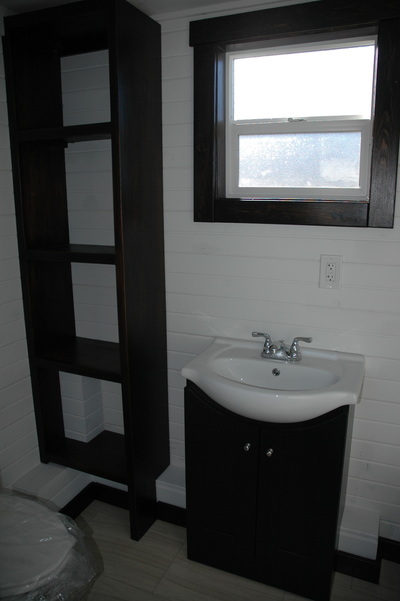 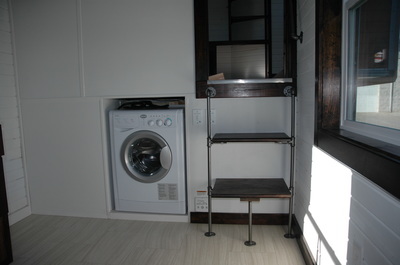 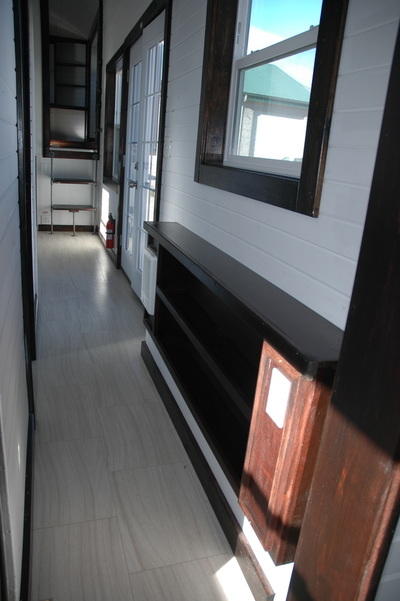 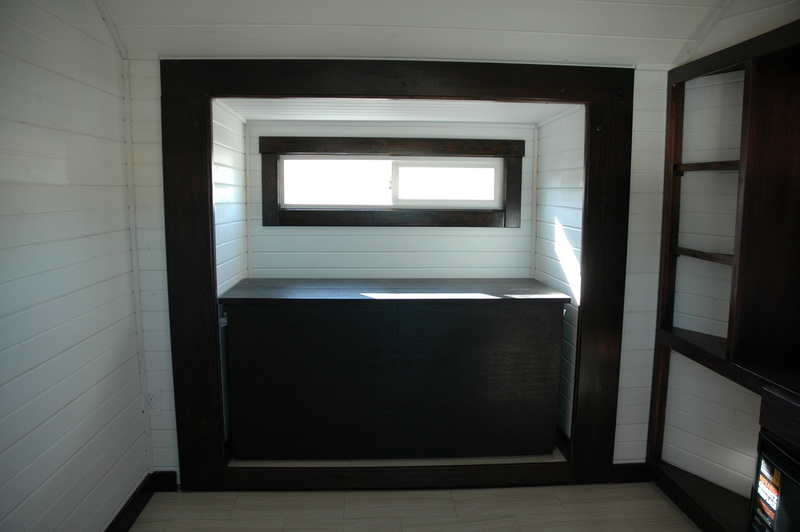 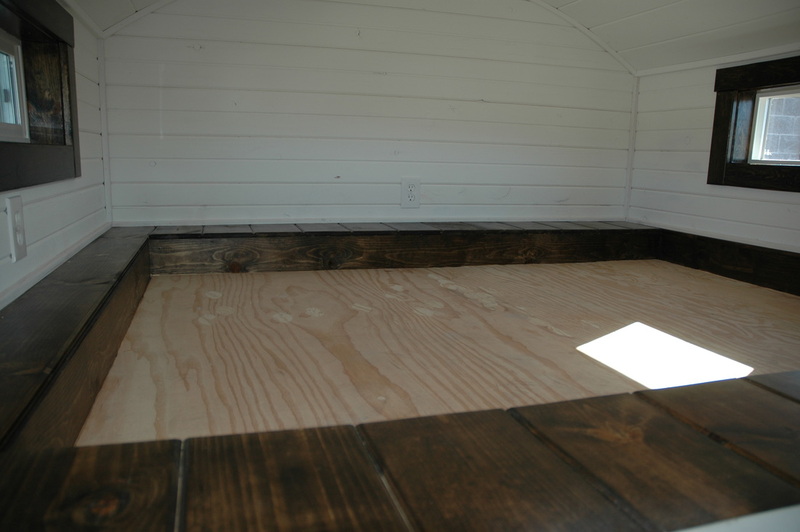 Beautiful model and floor plan, this is a true four season Tiny House Travel Trailer. 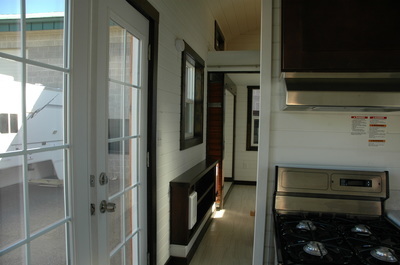 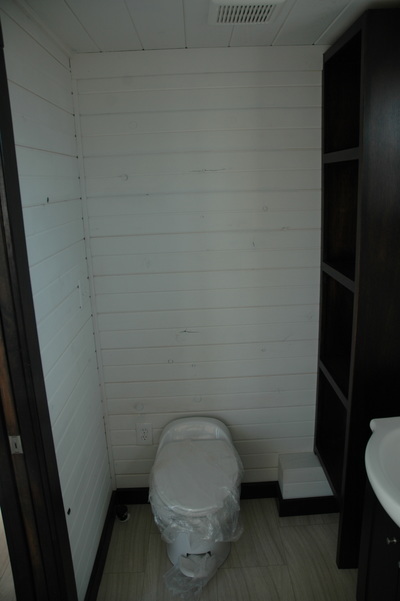 It has a front Living room/ Bedroom – with a Murphy bed in one of the slide outs, middle kitchen, full size middle bathroom and rear bedroom. 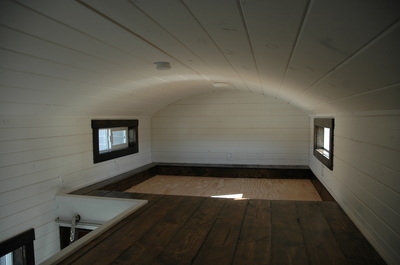 L shape loft over the rear bedroom and bathroom. 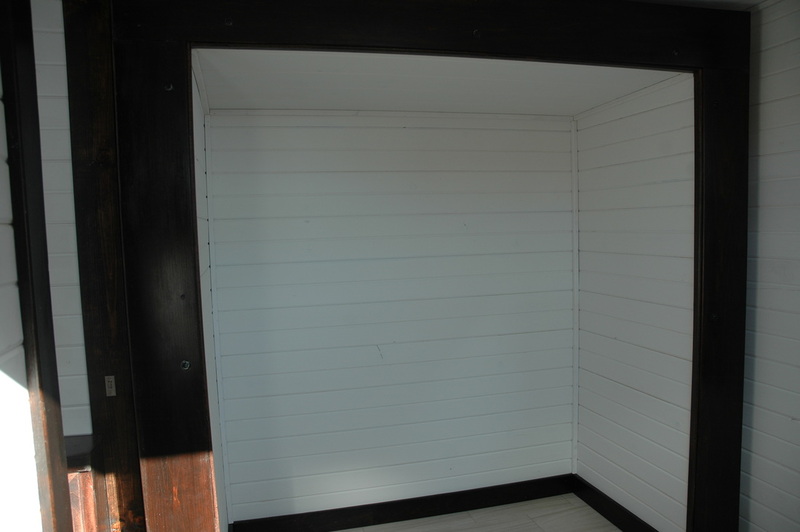 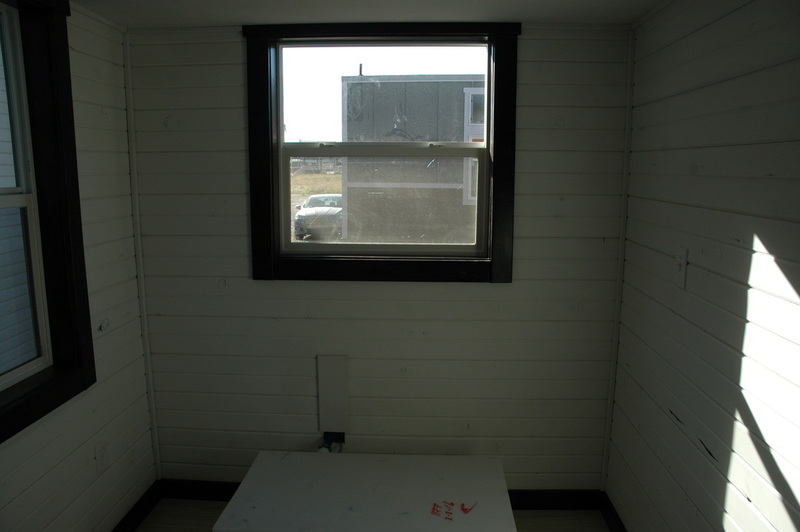 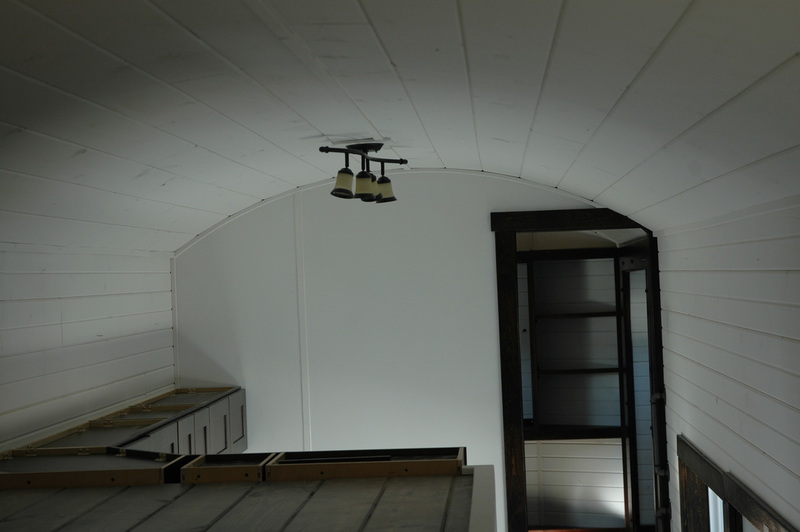 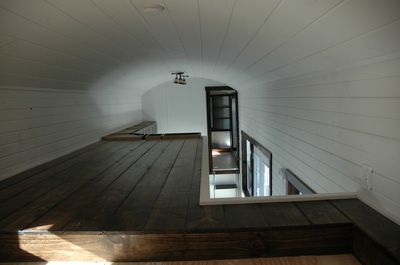 The loft has recessed queen size bed to offer more head room. This model easily sleeps 8 people. 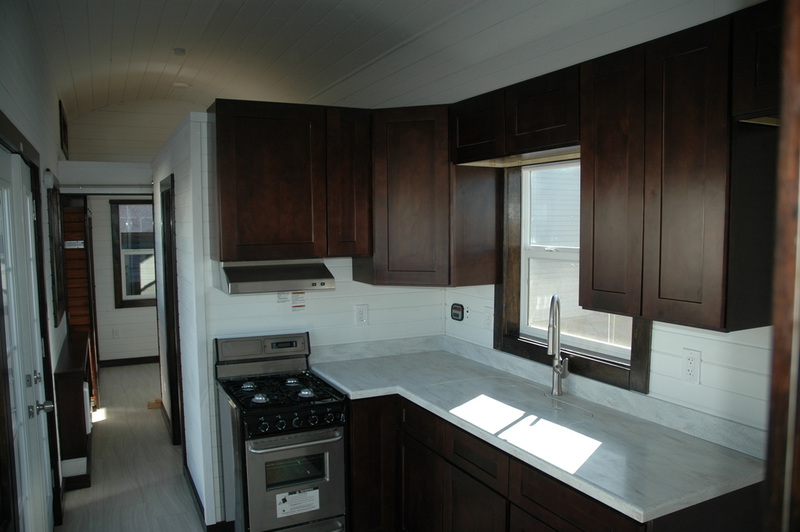 Middle Kitchen with mahogany cabinets – lowers and uppers with Corian Countertops. 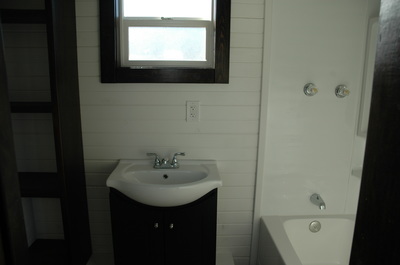 Double basin kitchen sink with corian cover for both sides of the sink. 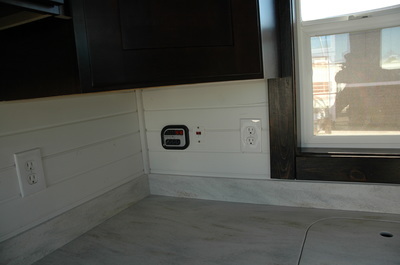 The sink cover can easily be used as a cutting board and when covering the sink, it offers a lot more counter space. 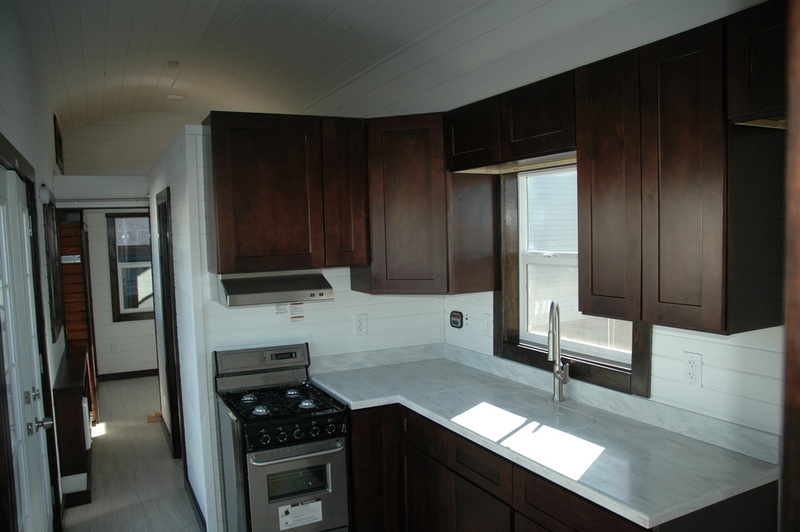 Summit Professional 20” stainless steel – full size range and oven and stainless steel range hood. 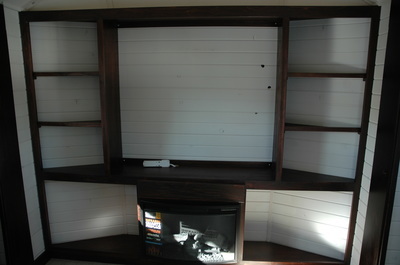 Living room over the gooseneck with 2 slide outs. 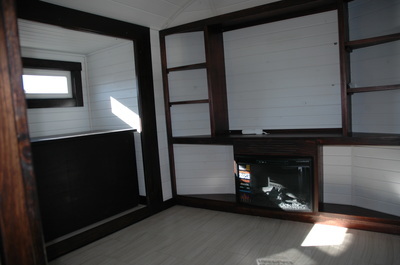 Living room has an entertainment center with plenty of storage room, fireplace and a murphy bed in one of the slide outs.